As obesity rates rise, nursing homes are struggling to provide assisted-living care to obese and morbidly obese patients. Since these patients often require specialized equipment and more work-hours, and they increase the risk for staff injuries, many nursing homes simply can’t keep up. As a result, many nursing homes are rejecting obese patients altogether. Obesity is rising throughout the United States. Concomitantly, nursing homes are experiencing a sharp increase in the number of moderate and severely obese patients (those with BMIs of 35 and greater). 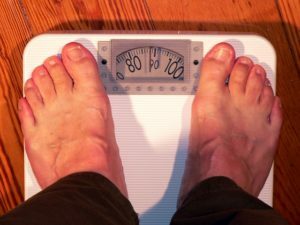 Overweight people accounted for nearly 25 percent of new admittances in 2010; a sharp increase from 14.7 percent in 2000. The problem is especially acute in the South where the obesity epidemic surfaced decades ago and only continues to climb. Obese patients require radically different care regimens than the slight residents from the 1980s, straining nursing home resources. Obese patients who cannot move on their own need to be turned every few hours to avoid dangerous pressure ulcers and many can only be moved with expensive motorized lift machines or a team of nurses. And while a normal-weight resident can be dressed in about 15 minutes by a single nurse, an obese resident often requires the assistance of two nurses and an hour of time to dress. The risk for injuries and death is increased when severely obese patients move in. Since it can take up to an hour to move an obese patient, many nursing homes are concerned that if a medical emergency arose, they would be unable to move the patient to a hospital in time –jeopardizing the patient’s safety and exposing the facility to liability. Nurses also incur significantly more injuries to their backs, necks and other areas of the body when providing care to obese patients, opening the door for more workers compensation claims. Medicaid provides funding for more than 60 percent of all nursing home patients. However, Medicaid strictly limits the services for which it provides reimbursement and the specialized lifts, beds, wheelchairs, commodes, longer intramuscular needles, shower chairs, and larger blood cuffs are not reimbursed. Furthermore, these devices are expensive. For example, a mechanical lift costs around $10,000, and reinforced, larger beds cost approximately $5,000. Nursing homes, which run on tight budgets, cannot afford to acquire this equipment and therefore are unable to provide care for morbidly obese patients.